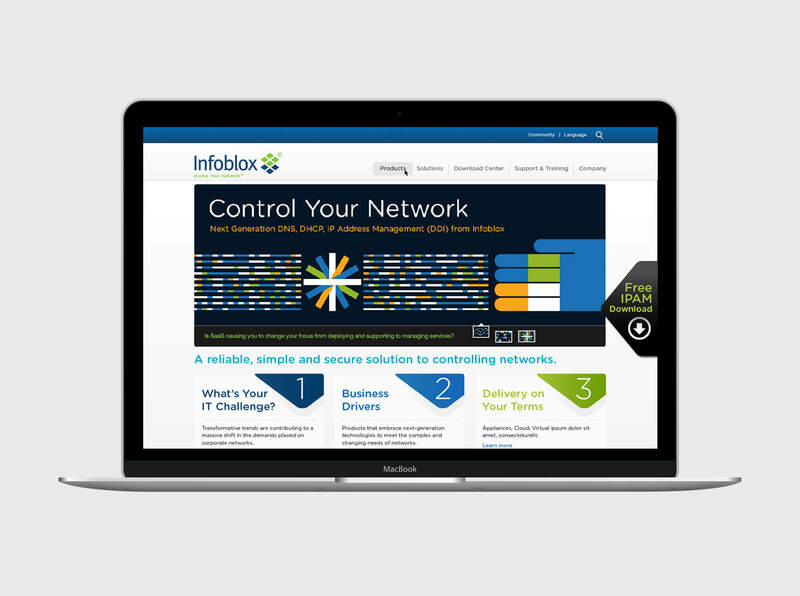 Infoblox provides software and hardware to help customers control their networks. They help businesses automate complex network control functions to reduce costs and increase security and uptime. 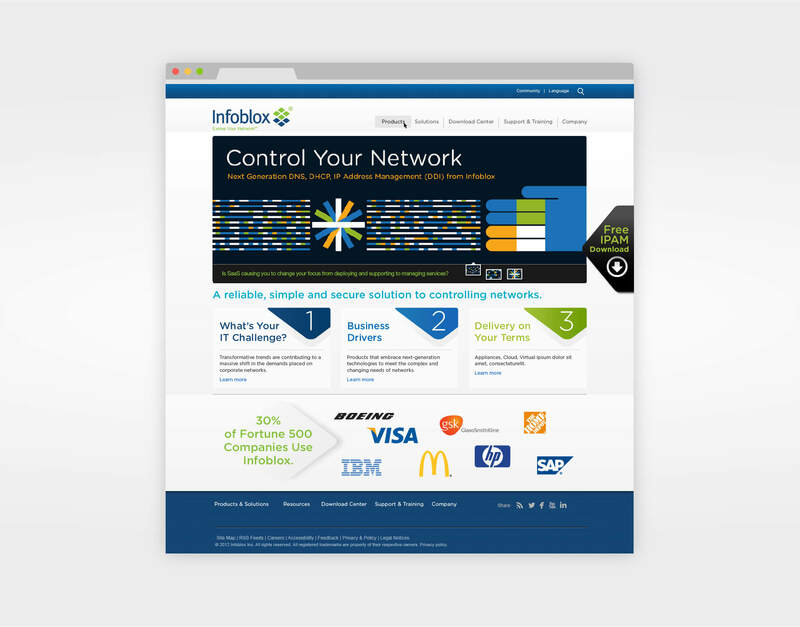 The result is a network that is more available, secure, and automated. 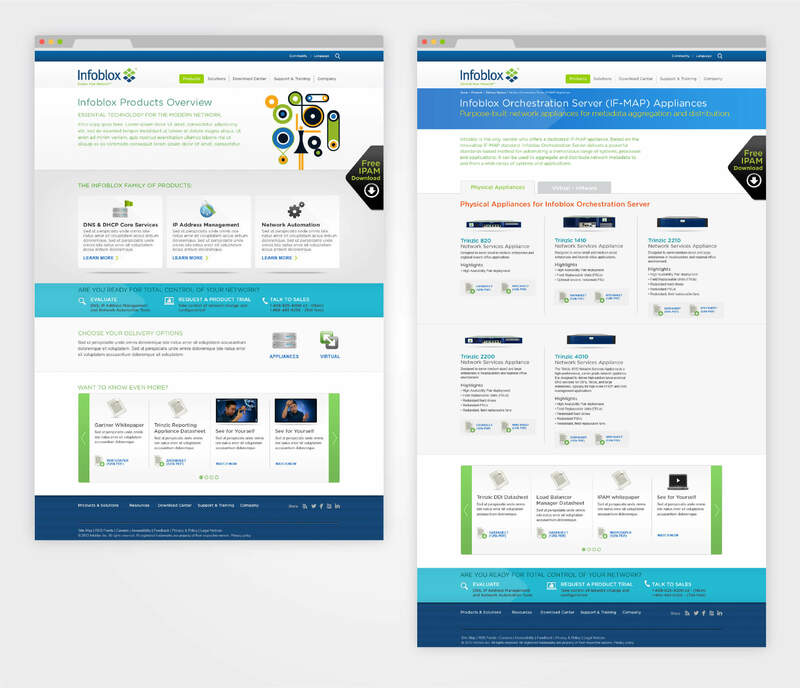 Our website re-branding process started with a comprehensive audit of both internal employees and external partners—to uncover what the Infoblox brand really stood for. 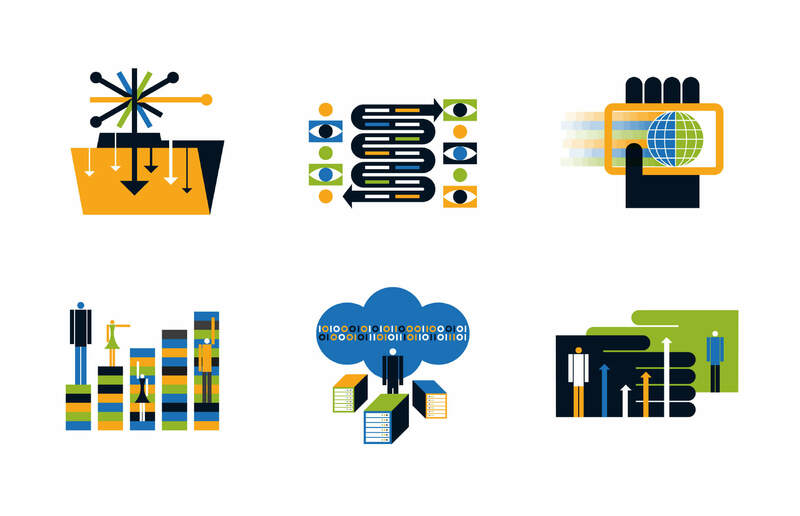 We created an iconic brand style for the company that’s fresh, modern, and informative. 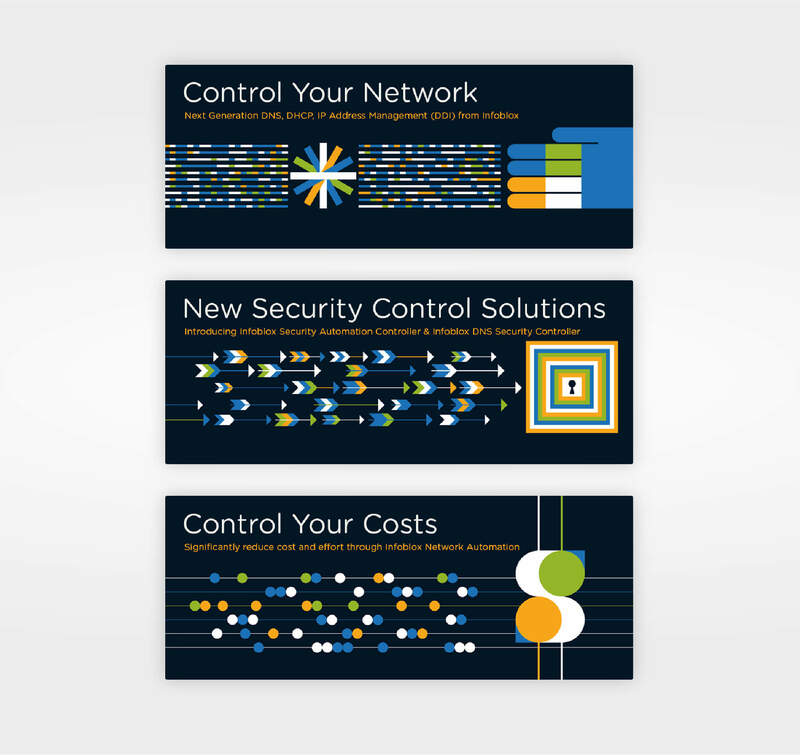 Illustrator Greg Mably provided custom imagery that elevates the website to a level of sophistication befitting this leading solutions provider. 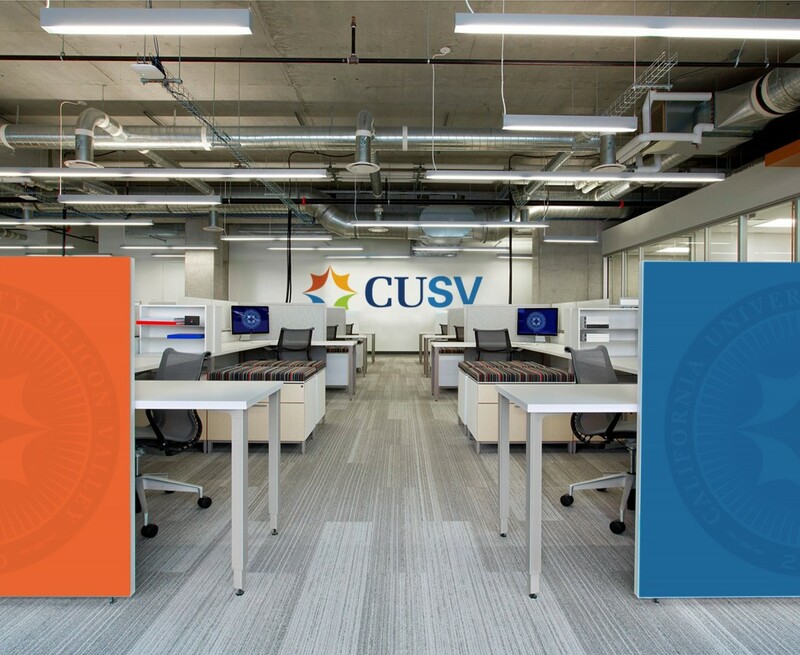 Our work involved brand strategy, identity design, creative writing, and website design.